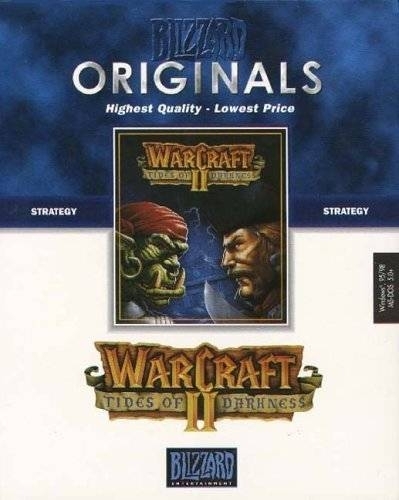 Warcraft II is the continuation of the ruthless clash between the armies of the noble Humans and the brutish Orcs. 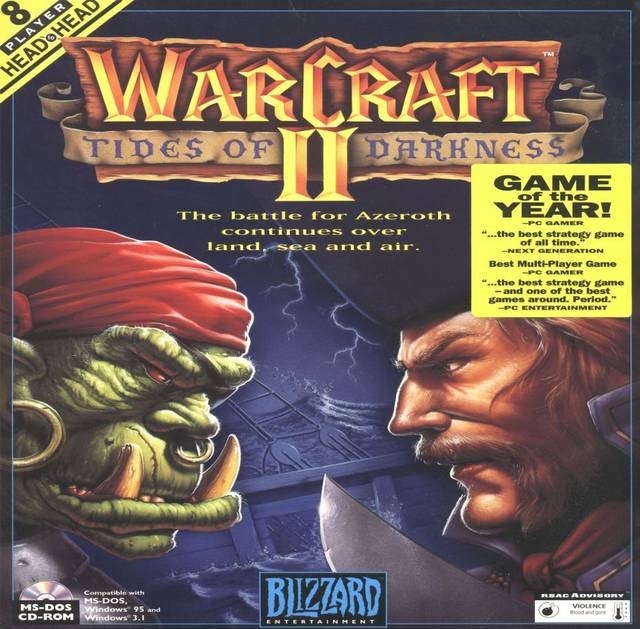 From the initial, unexpected invasion of the Orcish Horde to the quest of the Great Alliance to forever seal the Dark Portal that links their two worlds, you will experience the epic saga of the mighty battle to gain dominance over the kingdom of Azeroth. Along the way you'll need to carefully manage your limited resources to successfully construct and rule your medieval empire while engaging in real-time tactical warfare over land, sea and air. 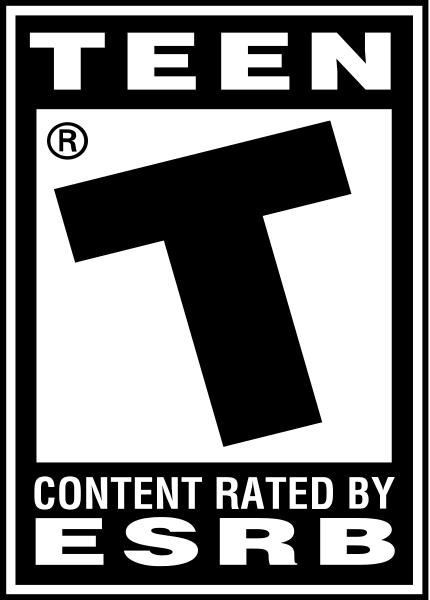 One of the greatest games of all time imo. In warcraft one that humans say touching and the orcs say poking. I thought it was poking. It was the first game i played with a Map editor/Scenario editor i believe... or atleast the first that i bothered making anything for. I actually perfered the "RPG" like adventures people would make with small groups of people over the regular RTS grind. Probably because i hate having to micromanage peasents. Nothing I enjoyed more then using the necromancer guys to kill people then raise up their bodies to form massive undead skeleton armies.